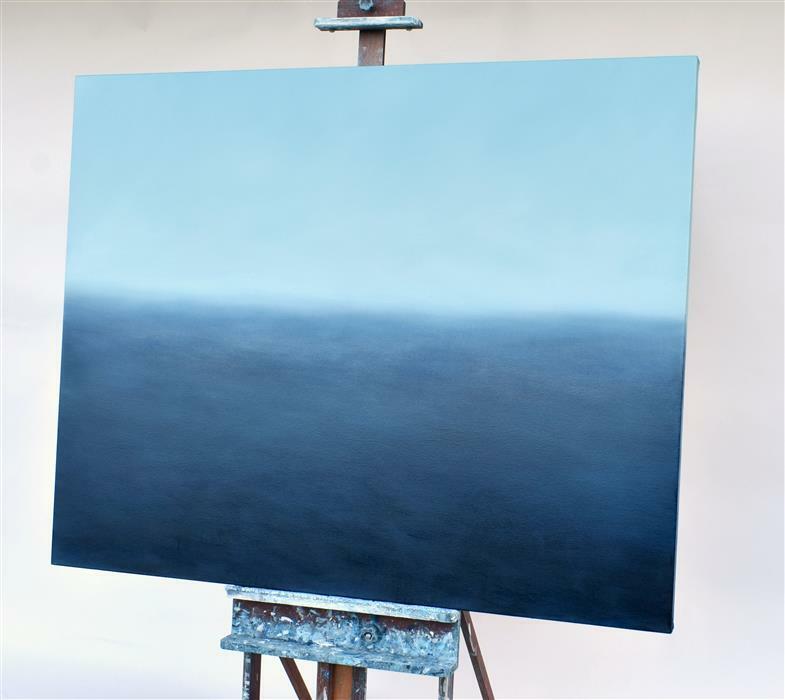 This seascape was inspired by the Pacific NW coast. 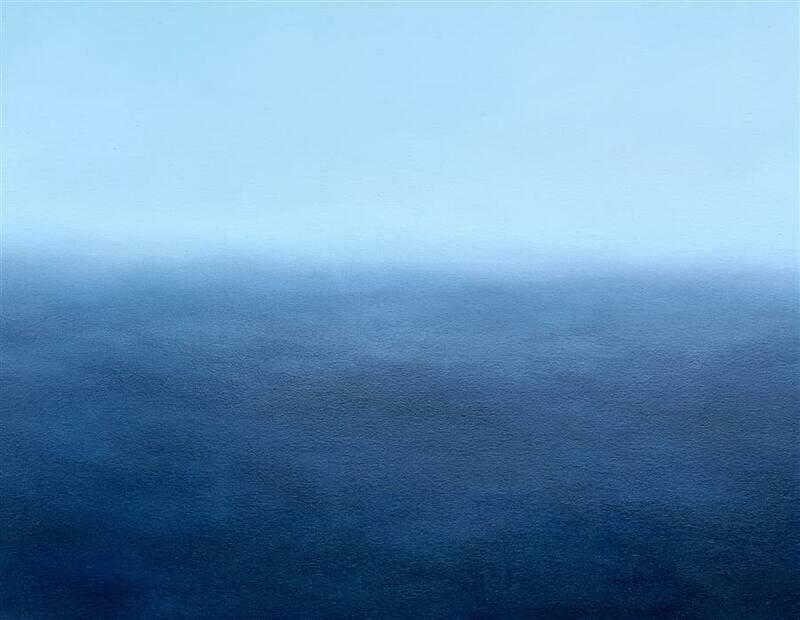 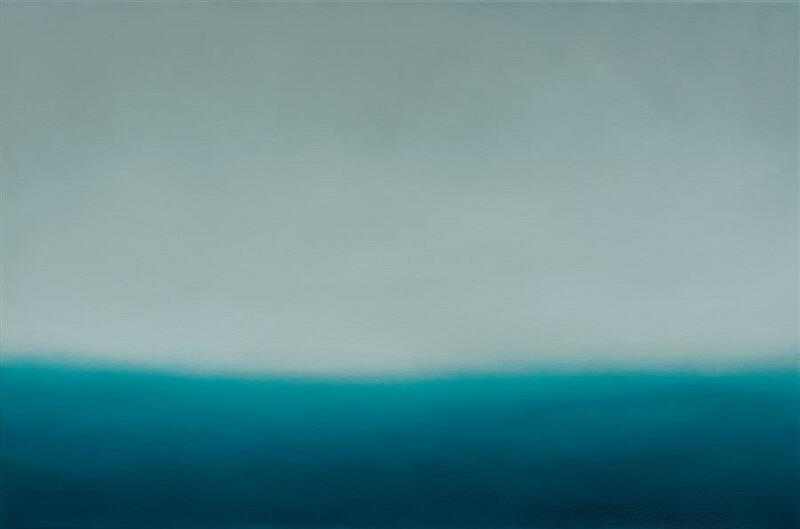 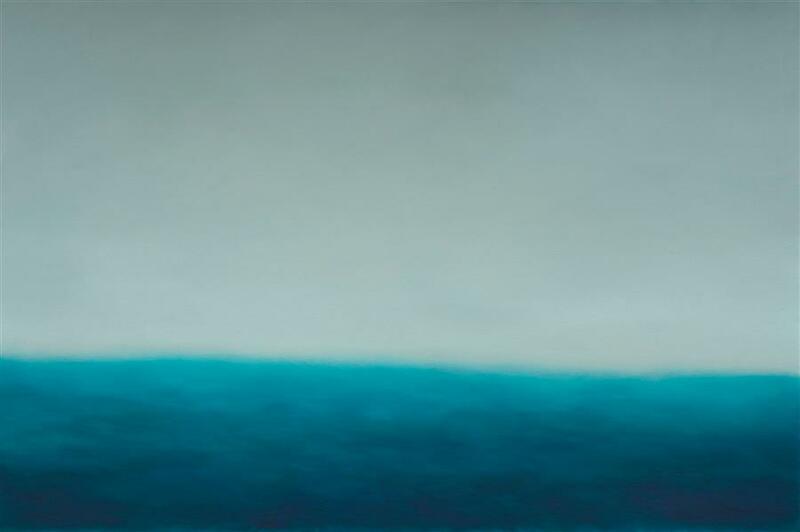 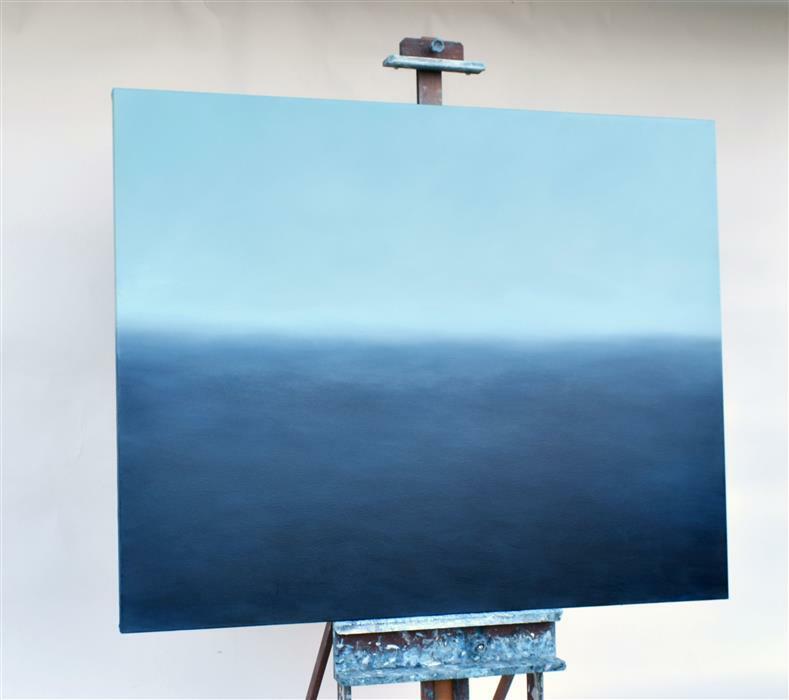 Jeremy Prim explores the solitude and beauty of the ocean in his minimalist oil paintings. 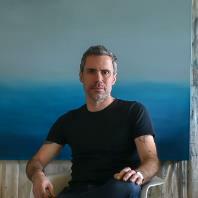 He works from his Seattle home and paints peaking waves of the Pacific Ocean. 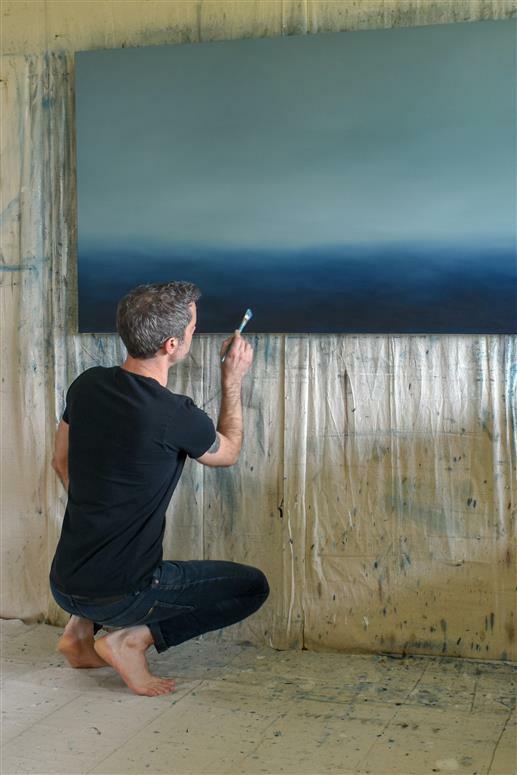 Through a process of experimentation, he creates his signature method of mixing oil paint tempered with cold wax to create a hazy, distant view. 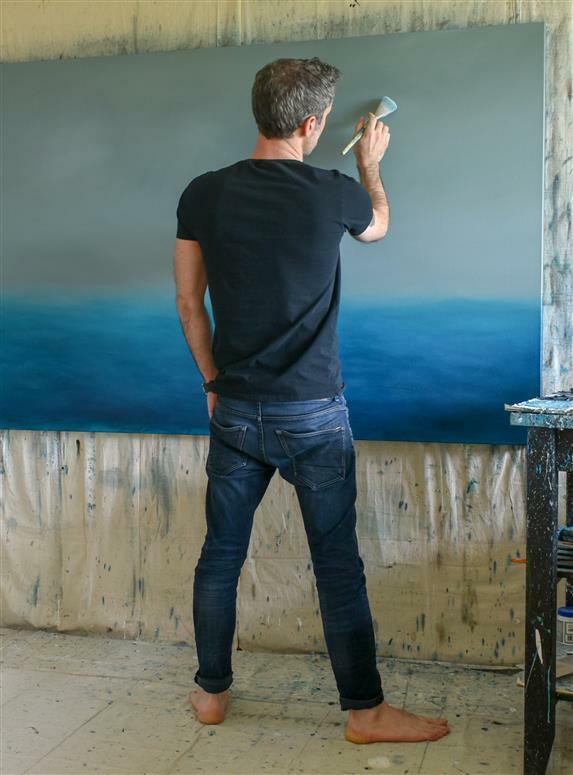 “Emotive, rather than being purely representational, the minimalist ocean inspired paintings I create are evocative of the Pacific Northwest coast... primarily derived from memory and intuition,” he explains. 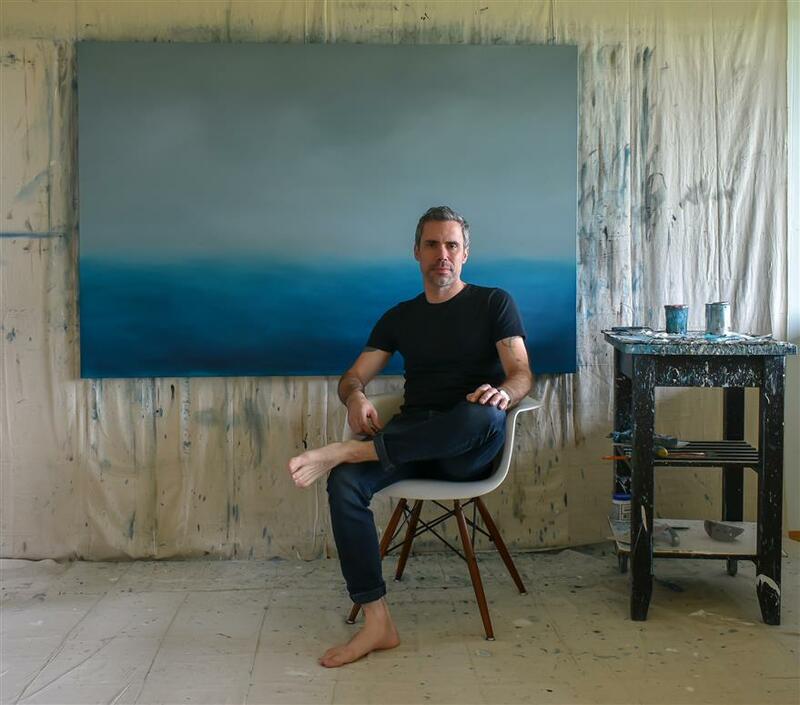 Inspired by the technology-driven city around him, he creates meditative pieces to offer viewers a chance to separate from the fast-paced world.